automatic thread trimmer and automatic foot lift. This unit is direct drive, which means it is powered by an internal servo motor connected directly to the main shaft. 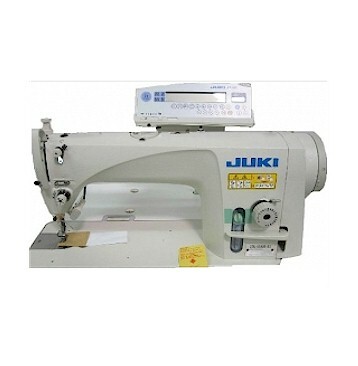 It is perfect for sewing light to medium weight fabrics. It is engineered for reduced vibration and noise. It has the capability to program functions such as number of stitches and backtacking on the included CP-18 panel. This unit is perfect for increased productivity, allowing the user to get more done in a shorter amount of time. The internal AC servo motor is also very quiet.